Return of the stylus: What will it take to beat Samsung? The stylus has come a long way since the days of Microsoft tablet PCs and Steve Jobs declaring them dead. Few digital pens have been as successful as Samsung's S Pen. Although there has always been some competition, few styli's have stuck around or been as successful as the Note line and its pen. This is especially true when it comes to the smartphone market. So why do people love the S Pen and how has Samsung managed to make what is essentially a writing utensil so versatile? Let's take a look! What is the S Pen anyway? The S Pen is Samsung's stylus. It is a digital pen that is mostly found tucked away inside the device. It uses Wacom's electromagnetic resonance technology (EMR), which means it is activated by a field produced from a chip behind the display of certain devices. This means the stylus itself does not have a battery. It is powered by this field when it is close enough to the screen. This is convenient for two reasons. The first reason is that there are no batteries to change and therefore the pen does not need to come apart. The second reason is that the stylus can be very thin which allows it to be housed in its own silo inside a device. This is critical when the pen and device are meant to be super-portable like a smartphone. It is worth noting that although each device uses a different technology, both the Apple Pencil and Surface Pen require batteries. Wacom technology has been around for a while now. A lot of digital artists swear by Wacom digital tablets for their accuracy and natural feel, despite their high cost. The writing experience when you put the pen to the screen is pretty solid and this transfers quite well to Samsung's own devices. Yet, the Note line appeals to more than just the artistically inclined. The touchscreen smartphone was supposed to be the end of stylus input for devices. What is it that keeps users coming back? Air Command is a wheel-style menu that pops up on the Galaxy Note when the S-pen is removed from the device. 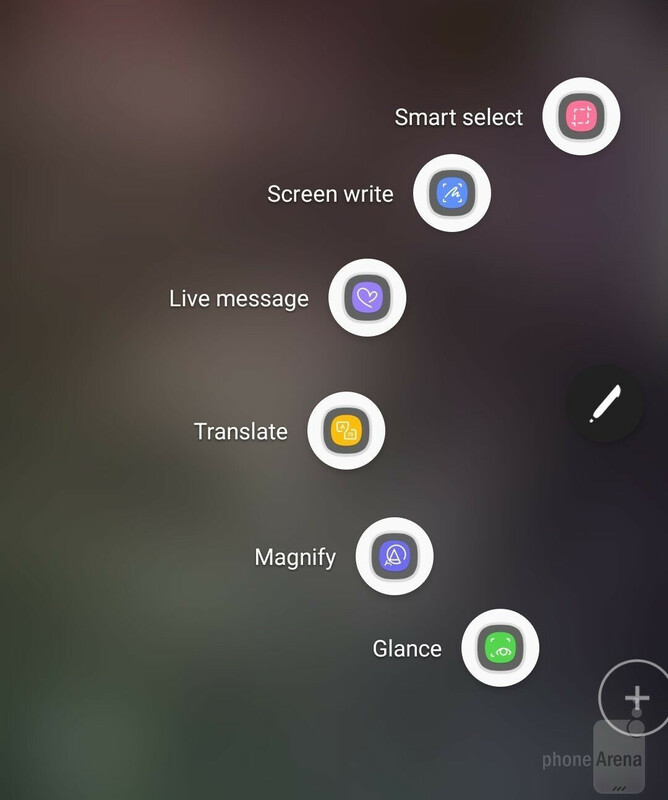 Inside the menu are a variety of features that make the S-pen such a versatile tool, even for users who do not like to handwrite notes or draw. The menu can be customized with a multitude of options. Here are some of the most popular, innovative and useful pen features. Translate - This feature allows you to select an origin and destination language. It will then translate any text that the user hovers the stylus over. Screen Write - Selecting Screen Write automatically takes a screenshot and then allows the user to draw using a variety of tools. The user can select from the pen, paintbrush, pencil, highlighter and more, all in a variety of colors. Live Message - The user can select a few different effects, colors, backgrounds and so on. It then allows you to handwrite a message which can be sent as a GIF via text or any other messaging app. Glance - Allows you to create a tiny window of an app in the corner of your screen. Whenever you hover the stylus over that window it enlarges over your current screen until you move the pen away. Magnify - Displays an on-screen magnifying glass. You can select up to 300 percent zoom. Smart Select - Allows a user to screenshot and crop a specific area of the screen. It provides options for rectangle, lasso and a GIF option that will turn whatever you highlight into a GIF you can share with friends. Of course, you have other standard options such as quick access to the notepad, coloring, and you can add a shortcut to any other app here on the wheel as well. Yes, most of these features can be found elsewhere and not just on other devices but on the Note as well. The point is, Samsung has compiled quite a bit of creativity-enabling features into a single, quickly accessible menu. Not only are they easily accessible, but these features all benefit significantly from being used in conjunction with a stylus. 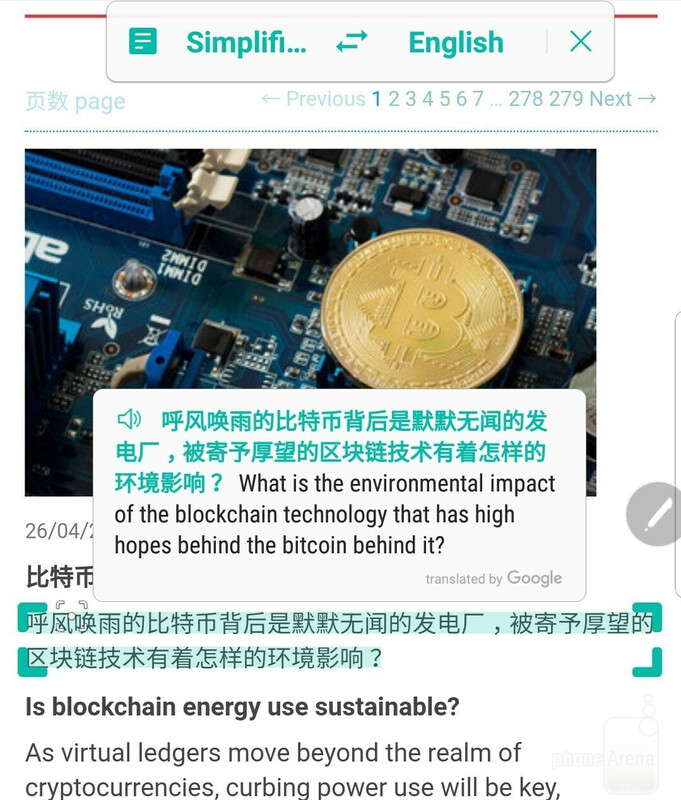 It would certainly be difficult to read the text you just translated live on the screen with your finger in the way. This fact in one way or another applies to almost all of the features listed here. The precision of the stylus enhances everything from cropping an image to marking up a webpage before sending it off to a coworker. That's not to mention the obvious convenience of being able to use screen-off memos, and quickly signing documents on the go. There is definitely more competition today than a few years ago. The move towards stylus-enabled devices spans across platforms. You have Microsoft heavily invested in the stylus as a creativity tool with the Surface line of devices. The company even bought Wacom's competitor N-Trig in 2015, which is the technology employed in the Surface Pen. Apple has since joined in with the addition of the Apple Pencil, which is now being pushed in the educational market as well. So how about the smartphone arena? Well, LG has its own brand of affordable, stylus-equipped devices in the Stylo line. The Stylo 4 is rumored to be released soon but does it play on the same level as the Note series? That is absolutely up for debate. Then, there is the rumor of the first stylus-enabled iPhone from Apple. If this is true, it is much more likely to be a direct competitor to the S Pen. However, what would Apple have to do to compete? The rumors now suggest that the phone stylus from Apple would be sold separately, and will not be housed in the phone itself. Which brings us to the question of features. The Apple Pencil really aims at creativity and productivity. It brings these characteristics of the pencil to life on the screen. Yet the question remains, will it have what it takes to compete in the smartphone market? Samsung's pen delivers a lot more than just ink. After looking at the features listed above, do you think Apple will bring more than ink to the table if it decides to do battle in the smartphone market? Cameras and bezel-less designs have been all the rage lately, but with Microsoft's long-rumored Surface phone (Andromeda) on the horizon and the Apple Pencil, could the stylus be the next trend? Well, yeah. That's why there is the Galaxy S range. Even if the vast majority doesn't use the S-Pen, the fact that it's their if needed is the point of having the note version. If galaxy note was a fail... Samsung would have ended it since 2011. But yeah thanks for your input Mr Random guy. And you know this HOW!! I use mine 4 to 10 times a day. So stop speaking for everyone. 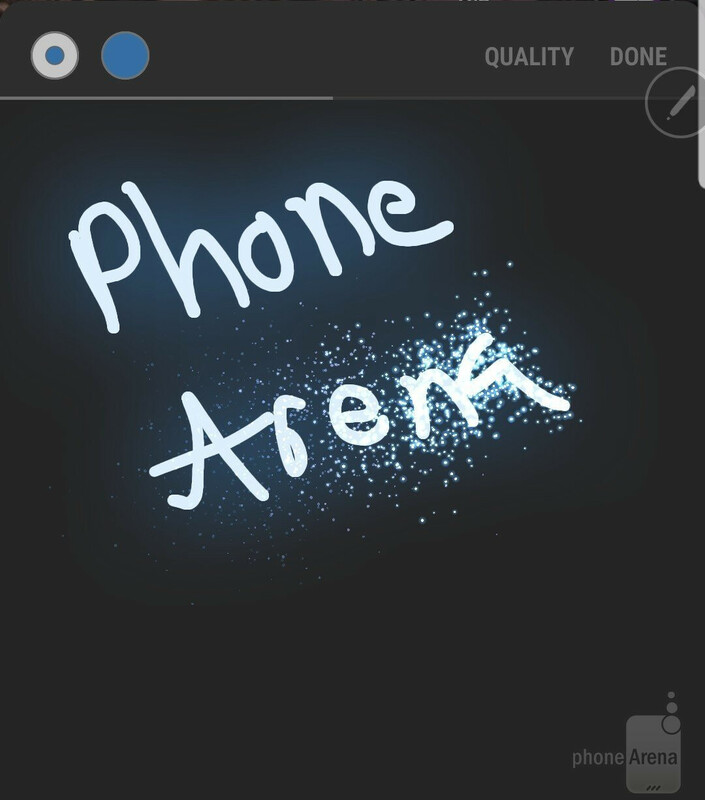 Phonearena has had many polls in the past about the S-Pen usage, and all of them indicate that only a minority of Note users regularly use their S-Pen. All those above mentioned functions are purely software based. Anyone can make those features. If our finger can be more pointed like a pen tip we wouldn't need these styluses anyway. But your finger can't so thanks for your 1 millionth pointless post. You're a winner! +10 He is the biggest isheep here. S Pen uses Wacom's electromagnetic resonance technology (EMR), which means it is activated by a field produced from a chip behind the display of certain devices. It is powered by this field when it is close enough to the screen. Yeah and this is software based. Right? Please give a software update through which my finger will become more pointed. Plssss ASAP. Your tone would have been different if S Pen was from Apple then you would have wrote words like evolution, revolution, i for innovation. LMAO total pointless reasons you are giving to hate the S Pen. Why just because it’s not from your beloved Apple. Just because you never see people using S-pen doesn't mean they never use S-pen, idiot. They'll use S-pen when they want to, not when you see them. The only reason I like the Galaxy Note series is the S-Pen. I just love it. Otherwise get the S series if you don't like the Pen. Stylus is dead for smartphones, and takes up valuable battery space. I use my spen religiously. I find myself taking notes all the time with it. I bought a car about 3 months ago and it has a pdf writer which let me sign a document that was missed out on after I left the dealership. I agree a good portion of Note customers dont use it but the convenience of having it when needed is nice. Can’t beat the S-Pen. It’s awesome tech. Nope Microsoft Surface pen can beat it on par on tablet function,obviously u never use an windows device from microsoft or any ther company with PC tablet stylus,u r just only ignorant of apple ios and google android which is Samsung,which show u r not aware of windows high presence in PC,Tablet market.Also u talk about why people want apple to fail but u don't talk about ur previous favourite company HTC where u own htc evo 3D in past before galaxy note2,S3.Now people showing hatred on htc u don't realy care about htc if they get dissappear yet u have buyed their device in past goes to show ur betrayal to the htc company and ur hypocrisy of double standard when people do same thing of hatred to apple bcoz of their way of doing bussiness with consumer buying power. That's a cool story. Please tell us about the Surface Pen you can use on a phone. LMAOOOOO! I got a migraine just from trying to read his post. Yeah, that was ridiculous comparing a device for a tablet to one for a phone. This is about the note phone, not tablets. You just wrote a pointless post for this article. Pointless like a 3 month old, trying to out run Usain Bolt. Please retype this monstrosity of a rant, and never make a fool of yourself like this again. The S Pen is fantastic thing in my Note 8 !! Very useful. like magic! Stylus pens on phones are add-ons. Probably not necessary in any way, but a feature nonetheless. They won't likely ever be popular as most people don't want yet one more accessory to lug around. You're not lugging anything around. It's embedded. Making a stylus that needs to be lugged around and charged regularly, that would be a nightmare. 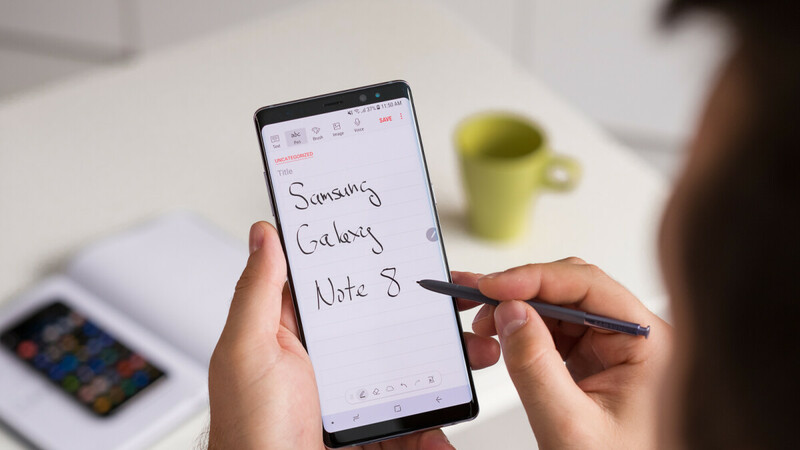 My next upgrade will be the note 9, miss using a stylus! Everyday!!. If the Spen is considered a gimick then why has the note range always been a strong seller. If that were the case, then consumers would of opted for the S8+/S9+ as they posses similar specs.